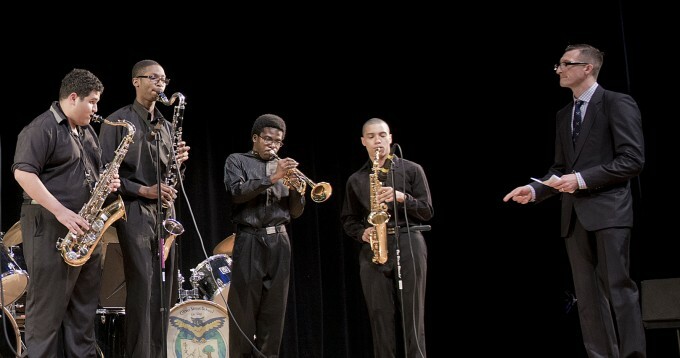 Mentorship: It’s in the bloodlines of jazz, the element that enables students of this art form to learn from the past while bringing the music into the future. For students with limited opportunities for private lessons and exposure to working jazz artists, a masterclass can be particularly inspiring and motivating. That’s why Jazz House Kids places a strong emphasis on these sessions, which bring leading jazz practitioners into the classroom to perform, teach, answer questions and offer guidance, both musical and personal. Our masterclasses provide student musicians with outstanding opportunities to learn from and be mentored by top jazz players, culled from the Jazz House faculty and visiting artists. While no two masterclasses are alike, they often focus on common topics: improvisation, ensemble playing, practice techniques, the creative process, and ways to improve performance. Sessions can also focus on specific instruments in a sectional format, or a rhythm section workout to zero in on the heart and soul of the band. Vocal masterclasses are also offered. We are happy to work with you to customize a session that will meet the needs of the students and their ensembles. Students leave inspired, excited and committed to practicing their instruments. To build your customized masterclass or get more information, contact us at info@jazzhousekids.org, or call the Education Department at Jazz House Kids at 973-744-2273. The body and soul of jazz, improvisation is the major challenge for everyone engaged in learning the music. Tailored to your students’ skill level, this session will lay the groundwork for pushing them forward in their improvising. The focus is on better understanding the form of a song and the chords that make up that song, internalizing chord progression, and using solo transcriptions to build jazz language. This process gets students on the right track! The foundation of any ensemble is the rhythm section. It is also one of the most challenging sections of the band to teach. 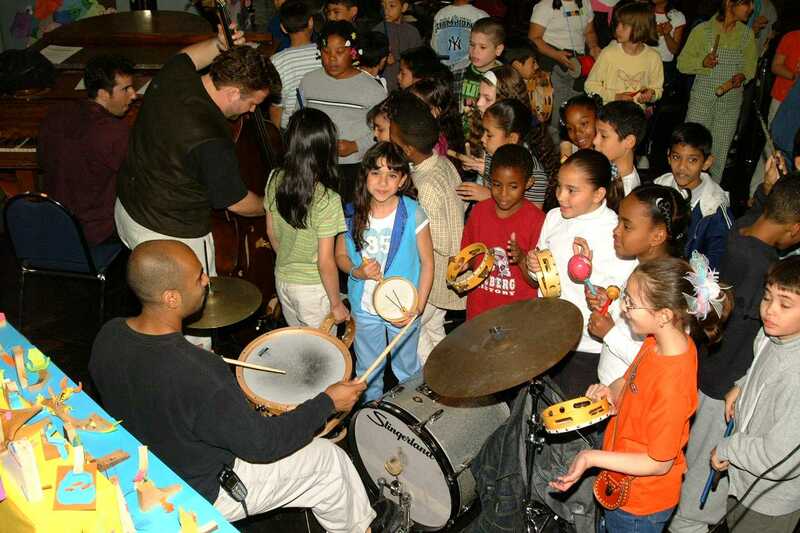 Student knowledge and skills across piano, bass, drums, guitar and other percussion often varies widely, and swing may be a new concept for young musicians. This workout will help lock in your rhythm section with individual instruction, as well as discussion and demonstration of how a good section thinks and listens. One trip through the Rhythm Section Workout and your band will be swingin’ at a whole new level! How do I get my band to swing harder? You can’t swing unless you know what it sounds like and what elements make it special. This workout will help the band understand how swing is generated by the rhythm section and then pushed through the individual sections by the phrasing of its section leaders. Through a series of activities and rehearsal techniques, your band will get swingin’ in a hurry! Strong trumpets and weak saxophones? Great trombones but young trumpets? The Jazz House Sectional Workout will coach a section of your big band to increase its members’ skills, knowledge and proficiency. These sessions always help motivate and inspire section players to rise to the occasion and reach their full potential. Concert coming up? Contest around the corner? The Concert Prep Workout can provide the boost you need in those final weeks before a big performance. A new face in front of the band – reinforcing what you have taught and adding extra feedback and tweaks – will help jump your group to the next level. A Jazz House Kids teaching artist will address dynamics, balance, phrasing, blend and articulation to fine tune an ensemble that is close to ready for performance.